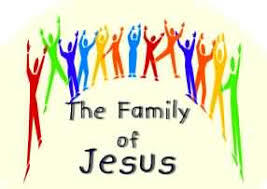 Jesus said, Whoever does the will of God is my brother and sister and mother. Our passage today is something of a turning point in the story of biblical Israel. The people have had no other king but God. A series of “judges” have ruled Israel in the name of God. They people see no successor to Samuel as judge, and so they ask for a king. Their reasoning is significant: they want to be like other nations. Samuel knows this is disaster, and so does God, but God says to give them what they want, just make sure they know the consequences. “Damn the consequences,” is the reply. So Saul becomes the first anointed king of Israel. 8:4 All the elders of Israel gathered together and came to Samuel at Ramah, 5 and said to him, “You are old and your sons do not follow in your ways; appoint for us, then, a king to govern us, like other nations.” 6 But the thing displeased Samuel when they said, “Give us a king to govern us.” Samuel prayed to the Lord, 7 and the Lord said to Samuel, “Listen to the voice of the people in all that they say to you; for they have not rejected you, but they have rejected me from being king over them. 8 Just as they have done to me, from the day I brought them up out of Egypt to this day, forsaking me and serving other gods, so also they are doing to you. 9 Now then, listen to their voice; only—you shall solemnly warn them, and show them the ways of the king who shall reign over them.” 10 So Samuel reported all the words of the Lord to the people who were asking him for a king. 11 He said, “These will be the ways of the king who will reign over you: he will take your sons and appoint them to his chariots and to be his horsemen, and to run before his chariots. Psalm 138 is an individual’s prayer of confidence in God. This confidence rests on the promise of God’s steadfast love, which is for the lowly as well as the mighty. What follows is the second half of the temptation story (sometimes called “the fall.” The crafty serpent has revealed that the fruit of the tree in the middle of the garden (of which God has commanded they shall not eat) will not cause them to die, but to be like God, that is, wise, “knowing good and evil.” They ate, but their first knowledge is actually of shame. They “knew that they were naked.” Shame distorts their relationship with God, as the second part of the story tells us. The tragedy of the whole of the Bible can be summarized in Adam’s response to God, “I heard the sound of you in the garden, and I was afraid…” The “original sin” may be disobedience of God’s command, or is it the refusal to take responsibility for one’s own actions? Psalm 130 is one of the “Songs of Ascent,” pilgrim songs sung on the way to Jerusalem. This psalm is a prayer for deliverance from personal trouble. The psalmist knows the “depths,” but also trusts the Lord’s forgiveness and mercy. Paul begins this paragraph by referencing the faith of the psalmist in the midst of trouble. The exact reference is to Psalm 116:10, but the same sentiment is in Psalm 130, today’s psalm. He has been talking about the experience of suffering, both by himself and the Christian community in general. He encourages the Corinthians to experience it as “a slight momentary affliction.” It is not God’s ultimate plan for us. 4:13 Just as we have the same spirit of faith that is in accordance with scripture—“I believed, and so I spoke”—we also believe, and so we speak, 14 because we know that the one who raised the Lord Jesus will raise us also with Jesus, and will bring us with you into his presence. 15 Yes, everything is for your sake, so that grace, as it extends to more and more people, may increase thanksgiving, to the glory of God. 16 So we do not lose heart. Even though our outer nature is wasting away, our inner nature is being renewed day by day. 17 For this slight momentary affliction is preparing us for an eternal weight of glory beyond all measure, 18 because we look not at what can be seen but at what cannot be seen; for what can be seen is temporary, but what cannot be seen is eternal. 5:1 For we know that if the earthly tent we live in is destroyed, we have a building from God, a house not made with hands, eternal in the heavens. Jesus has just called his twelve disciples. Now there is a troubling encounter with his family, who attempt to restrain him because there is a rumor that he is insane. The religious authorities also claim that he is in league with Satan. (“Beelzebul” is a form of Baal-zebub, a widely known pagan God, see 2 Kings 1:2). He responds with his well-known saying about sins against the Holy Spirit being “eternal,” i.e., unforgivable. Bible interpreters have spent two millennia trying to figure out exactly what constitutes a “sin against the Holy Spirit.” More importantly, as the story moves on, his family attempts to intervene again and he more or less turns his back on them. He has created a new family. The Scripture passages (except for the psalm) are from the New Revised Standard Version Bible, copyright © 1989 by the Division of Christian Education of the National Council of Churches of Christ in the U.S.A., and are used by permission. All rights reserved. The Psalm translation is from The Book of Common Prayer. Commentaries are copyright © 2017 Epiphany ESources, 67 E. Main St., Hornell, NY 14843. www.EpiphanyEsources.com. All rights reserved. Permission is given to copy for congregational use with this attribution.